– Smoking: Smoking is the greatest risk factor. Smokers get bladder cancer twice as often as people who don’t smoke. – Chemical Exposure: Some chemicals used in the making of dye have been linked to bladder cancer. People who work with chemicals called aromatic amines may have higher risk. – Race: Caucasians are twice as likely to develop bladder cancer as are African Americans or Hispanics. Asians have the lowest rate of bladder cancer. – Age: The risk of bladder cancer increases as you get older. – Gender: While men get bladder cancer more often than women, recent statistics show an increase in the number of women being diagnosed with the disease. Unfortunately, because the symptoms of bladder cancer are similar to those of other gynecologic and urinary diseases affecting women, women may be diagnosed when their disease is at a more advanced stage. – Chronic bladder inflammation: Urinary infections, kidney stones and bladder stones don’t cause bladder cancer, but they have been linked to it. – Personal history of bladder cancer: People who have had bladder cancer have a higher chance of getting another tumor in their urinary system. People whose family members have had bladder cancer may also have a higher risk. It is important to note that these signs can also indicate other conditions. If you experience any of these symptoms, consult your physician immediately. Early detection is key to a better. 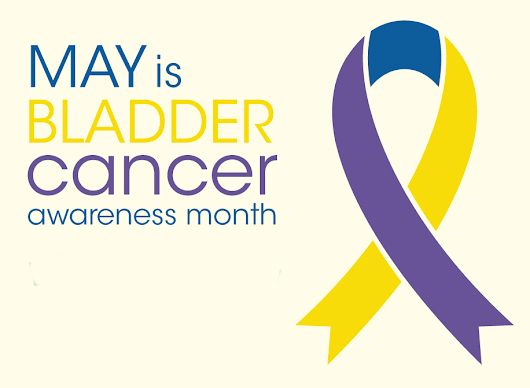 Spread this message of awareness and let others know about the warning signs of bladder cancer. You will not only increase awareness of the disease, but you could help save a life.